I greet you most cordially, dear readers of the Salesian Bulletin, in the light of this holy Christmas which is approaching quickly. 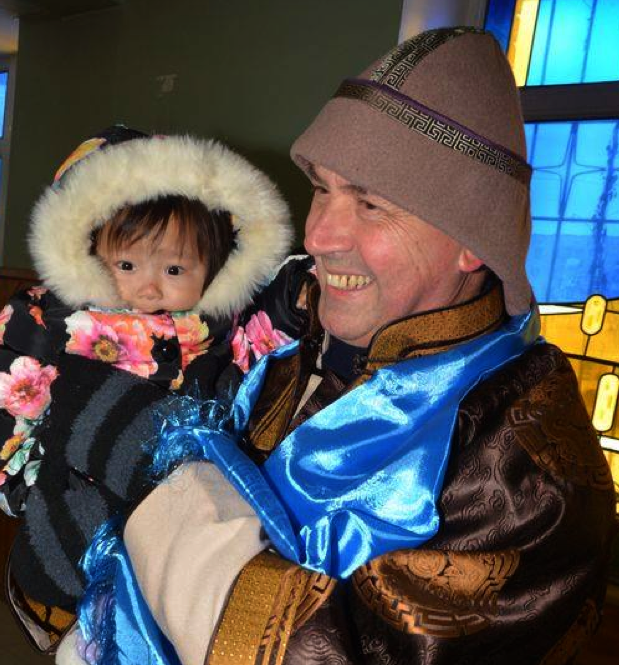 Certainly, the Son of God is born in every place on earth and for all humanity, but I wish to emphasize just how much this is also true and how much it is felt in Siberia, Mongolia, and Myanmar – in these peripheries of the world which, as a gift from the Lord, I have had the grace to visit recently. The following week I visited our Sisters, the Daughters of Mary Help of Christians, and our Salesian confrères in Mongolia. There I was able to experience for myself the piercing cold, even if it was only 7°F below zero (-14°C), far from how low the mercury could dip in this region - to -40°F (also -40°C). But the chill was mitigated well by the warmth in the hearts of those simple people, of those Christian Communities, so poor in all senses of the word, even when considering their number, and who, for many difficult decades, had kept the Faith as their most precious treasure. While celebrating Sunday Mass with the Christian Community of Darham – the elderly, some young parents, and many children who prayed and sang with a faith that touched my heart – all of us encircled by the snow, I experienced most vividly within me the certainty that the Son of God would be born in a short time in Mongolia, too, and with a special predilection. Then I passed from the cold of Mongolia to the rains of Myanmar, with its magnificent and luxurious vegetation and hundreds of adolescents, poor – very poor – but who have a smile on their lips and eyes that are enchanting. I celebrated Holy Mass with them several times; their voices and their songs were of such beauty that not even the songs of the Guarini Indians in the film The Mission could rival them. The thought then came to me that Christmas would soon flood their faces and their smiles with joy on account of the birth of the Son of God – because God will be born in Myanmar, too. Our God, who loved us with such marvelous madness continues to love His sons and His daughters throughout all time. As always, He has a particular predilection for those who are the last, the humblest, the simplest, and the poor of our world. Jesus’ life experiences of poverty and as living as one of us, among us, as told in the Gospels continue to have as much significance and are just as real today as they were then. The hearts of the poor in their poverty and simplicity are prepared like no others to receive Him. It is in the light of these experiences that I ask God in my prayers never to allow me to become accustomed to seeing "so many miracles and amazing things" without marveling at them. May I never consider “ordinary” those things which profess loudly and clearly what are the most essential, most beautiful, and most precious aspects of every human life: one’s personal dignity and the Love which is given, lived, and shared because (and let us never forget) Christmas is the Mystery of God-Love who becomes one of us. May you have a Merry Christmas with the blessing of God Who is Love. My most heartfelt wishes for every happiness and every good thing for each one of you.